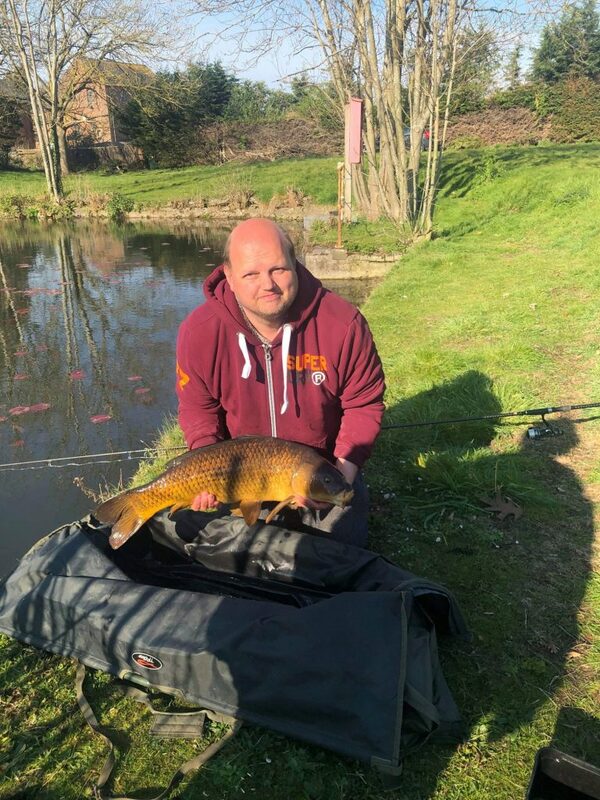 It was really good to see 8 members turn out to fish round 5 at Three Oaks on Tuesday 22nd March. 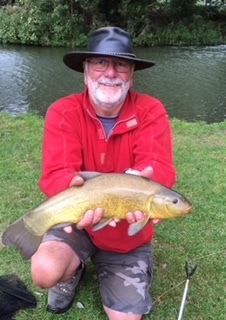 Conditions were good; warm and bright with little wind and, after a couple of dry weeks, all round the lake it was a mud free zone unlike the last outing there which resembled the Somme ! Almost everyone caught and there was plenty of activity with lots of silver fish. 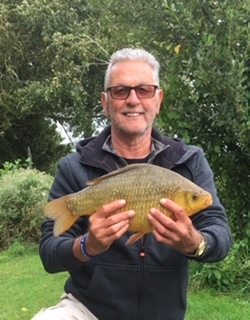 Graham was first to land a carp in a match this year with a nice 2 lbs 8 ozs common. 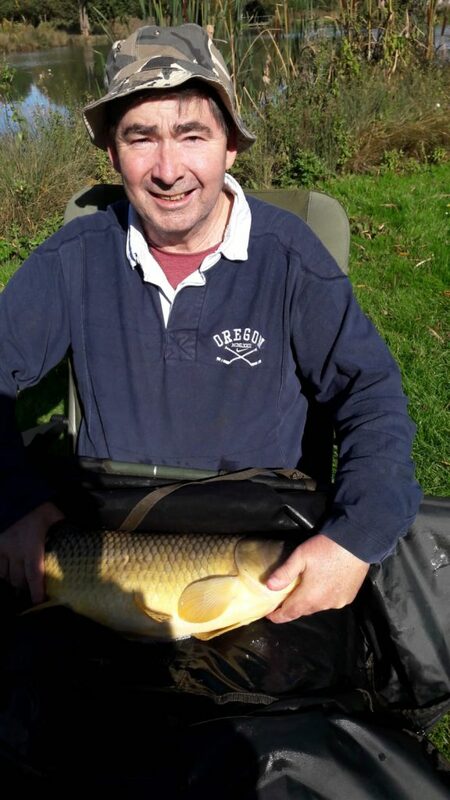 Colin also had a 1 lb 12 ozs common during the afternoon. 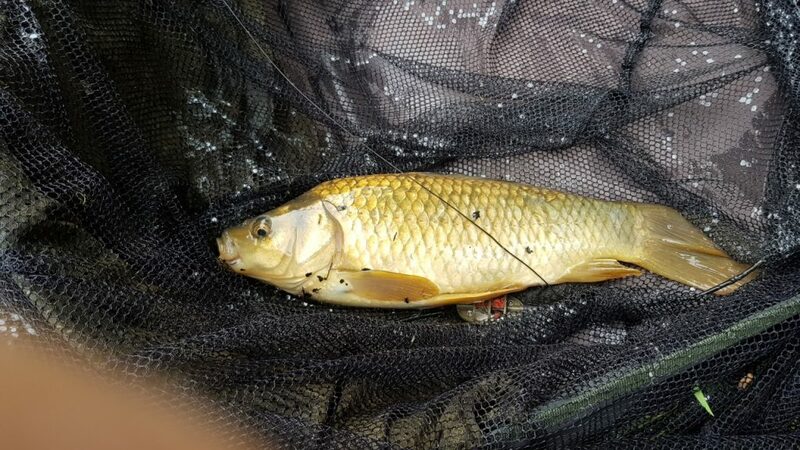 It took until 5th May last year before anyone landed a carp in a match/meeting. 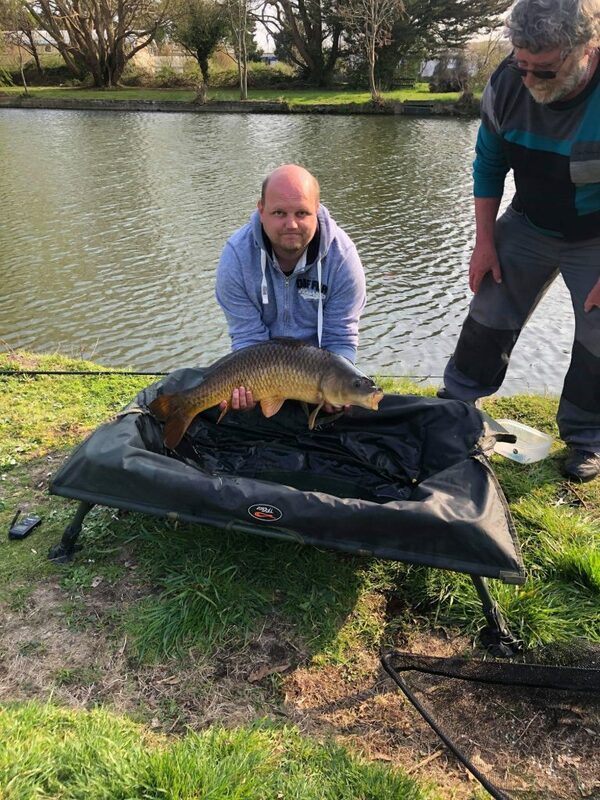 There were some decent silvers coming to the net as well with Denis B and Colin both having skimmers of over half a pound and Derek also had a fine 12 oz roach. There was the usual “what might have been” as a decent carp took most of Derek’s pole elastic out before shaking the hook in a snag. Overall, I think everyone had a good day out and it was good to see Fred and Richard come along for their first coarse outings this year. Credit goes to Roy for his measures to alleviate the recent mud issues and improve access to the swims. hiya Derek yet another well laid out and written report. Glad you are now on-board and finding your way around the package, just needs the rest of the Team to start writing Reports for their selected roles within the Team.